DataCal Dvorak keyboard labels allow you to configure any keyboard as a Dvorak keyboard for faster typing and greater efficiency. These labels are opaque and will completely cover the keys. 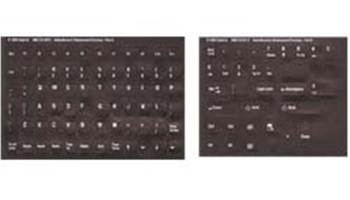 Dvorak opaque labels completely cover the original lettering, creating a Dvorak keyboard layout.